Clematis alpina 'Helsingborg' produces masses of beautiful, small, nodding deep purple or mauve flowers with matching centres from April to May. Clematis alpina 'Helsingborg' was raised by Tage Lundell of Helsingborg, Sweden. 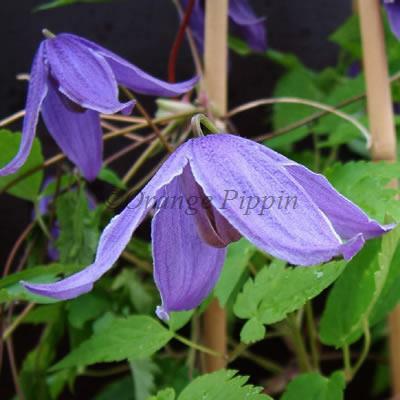 It was introduced by Raymond Evison of Guernsey Clematis Nursery.